Widely understood to be an excellent example of what is now called the postmodern novel. 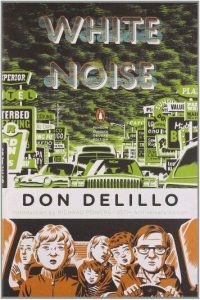 White Noise was published in January 1985 just weeks after a real airborne toxic event killed thousands of people in Bhopal, India. The novel was written before the disaster, but many critics have seen the novel as a hyper-real representation of a real event.